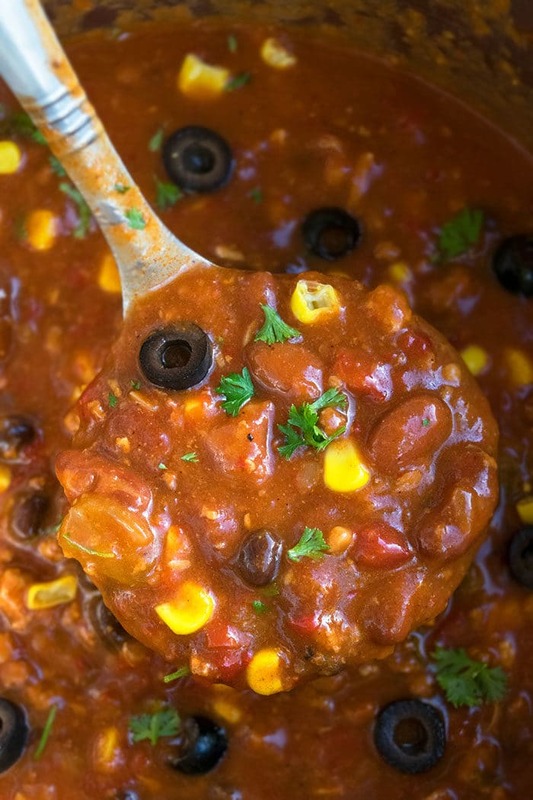 Quick and easy chili recipe, made with simple ingredients in one pot on stovetop. The best 30 minute meal, loaded with spices, ground beef, beans, chiles. This simple, classic, old fashioned homemade chili is the ultimate comfort food! 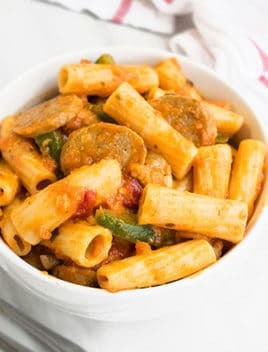 It’s great as a weeknight dinner and perfect for game day and tailgating parties. It’s just as popular as my One Pot Chili Mac Recipe. How to make good homemade chili? Brown the beef, onions and garlic. 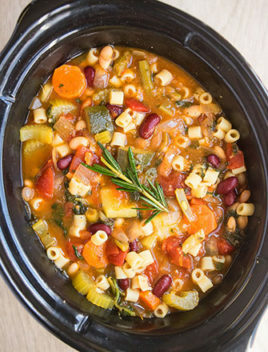 Add tomatoes, beans and spices and cook for about 15-20 minutes to allow the flavors to deepen. -You must drain the fat to prevent this meal from becoming too greasy. 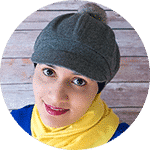 -Adjust the amount of spices, based on your preference. -Get creative with spices and try Italian seasoning or Mexican taco seasoning e.t.c. -If it’s too thin, let it cook uncovered until liquid is reduced. If it’s too thick, add a little water or broth of thin it out. Can you freeze beef chili? 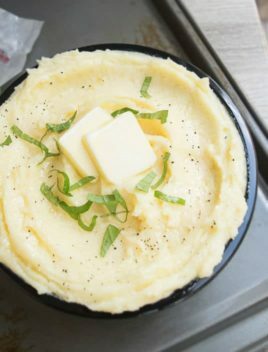 If you have made a big batch or have a lot of leftovers, let it cool completely. Then, pack them in sealed freezer containers and freeze for up to 1 month. You can also store in sealed freezer bags. 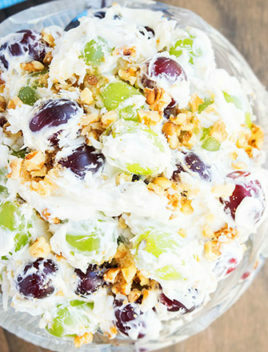 When you are ready to enjoy it again, remove from freezer and thaw in the fridge overnight. Heat in a nonstick pot on stovetop. Add some water or broth, if it’s too thick and bring to a boil. What sides to serve with easy chili? How to thicken best chili? Or let it cook uncovered on medium heat until liquid is reduced and this meal is thickened to your desired consistency. What chili seasoning to use? How to make slow cooker/ crockpot chili? Brown the beef, onion, garlic altogether on stovetop. Remove from heat and drain grease. Add this cooked meat to crockpot, along with tomatoes, beans and spices. Mix to combine everything together. Garnish with any toppings of your choice and you are done. Avocado slices– You an dice them into small pieces too. Diced tomatoes– You can use sliced cherry tomatoes too. Tortilla chips- To add a little crunch. Black olives- Not a traditional topping but I love it. 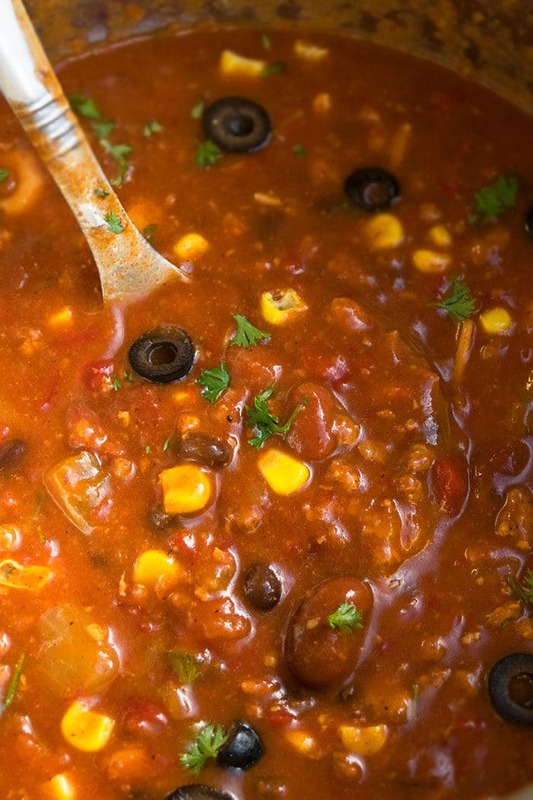 -Turkey chili– Replace ground beef with ground turkey. 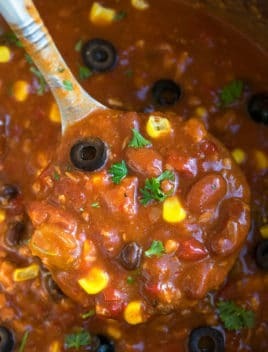 -Vegan or vegetarian chili- Omit the beef altogether. -Add some red chili flakes and garnish with jalapenos to add a spicy kick. Quick and easy chili recipe, made with simple ingredients in one pot. The best hearty 30 minute meal, loaded with spices, ground beef, beans and chiles. Add beef and and onion and cook until beef is no longer pink and onion is soft. Return to heat and add tomato sauce, diced tomatoes, green chiles, kidney beans, black beans, chili powder, cumin powder, cayenne pepper, paprika, cumin powder, sugar, salt, pepper, corn. Let it cook uncovered for for about 20 minutes on medium heat. Cook for longer to reduce liquid to your desired consistency. Garnish with toppings and enjoy!